A MONSTER CALLS is rated 5.0 out of 5 by 2. Sorry there are no shows for A Monster Calls right now. ★★★★★ "a monster hit" "Bring the kids, the parents, your friends and neighbours. This strange, soaring yet miraculously unsentimental adaptation of Patrick Ness's book needs seeing. It is heartbreaking, spectacular, harsh, happy." THE TIMES 'Stories are wild creatures, the monster said. When you let them loose, who knows what havoc they might wreak?' 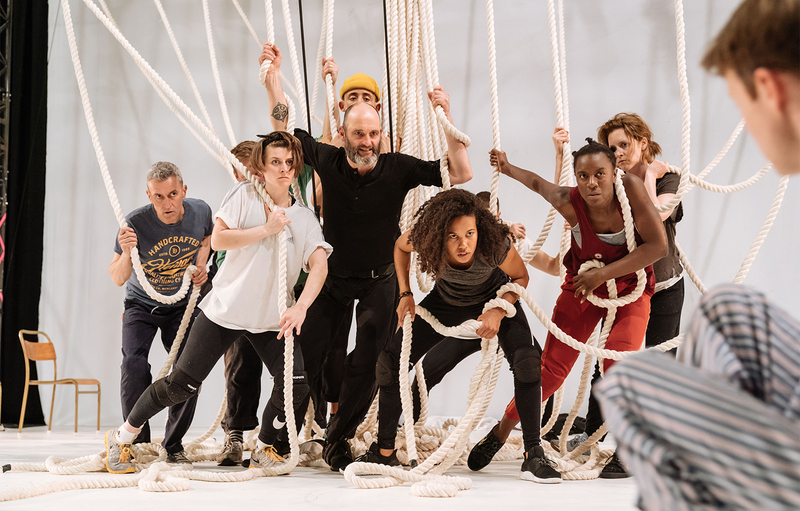 Patrick Ness's piercing novel A Monster Calls is brought to The Old Vic stage in a powerful new adaptation by visionary director Sally Cookson. Thirteen-year-old Conor and his mum have managed just fine since his dad moved to America. But now his mum's very sick and she's not getting any better. His grandmother won't stop interfering and the kids at school won't look him in the eye. Then, one night, at seven minutes past midnight, Conor is woken by something at his window. A monster has come walking. It's come to tell Conor tales from when it walked before. And when it's finished, Conor must tell his own story and face his deepest fears. On publication, A Monster Calls became a bestseller with children and adults alike with its dazzling insight into love, loss and healing. It garnered huge critical acclaim, including an unprecedented double win of the Carnegie and Greenaway Medals for outstanding children's literature and illustration. Rated 5 out of 5 by Readingj from Excellent My book pal and I went to see A Monster Calls. Excellent seats. Amazing production, acting, staging etc. Really good afternoon out.